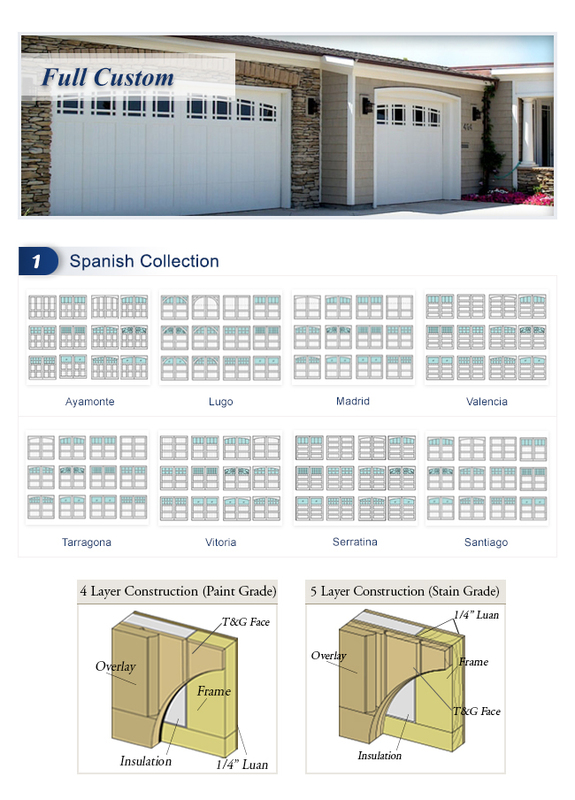 Styled to add beauty and authenticity to your home, the RHD Spanish Collection garage doors include designs inspired by Spanish Revival architecture, Mediterranean villas, and Tuscany estates. 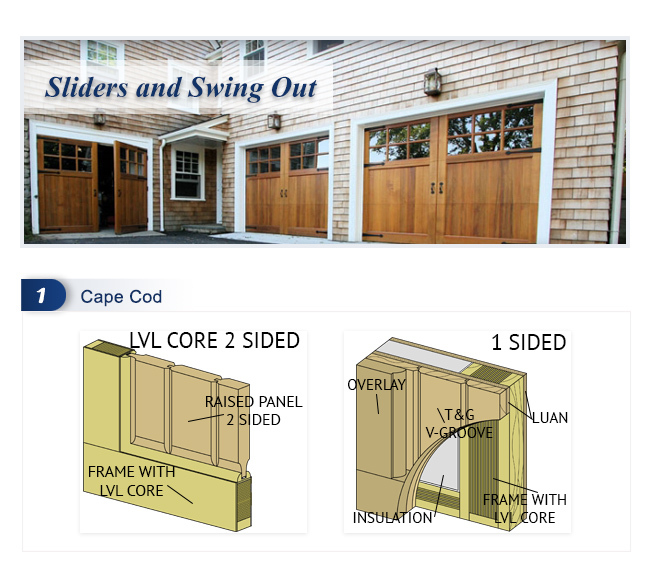 The Cape Cod designs are efficient, and the simple, symmetrical lines will increase curb appeal to your home. 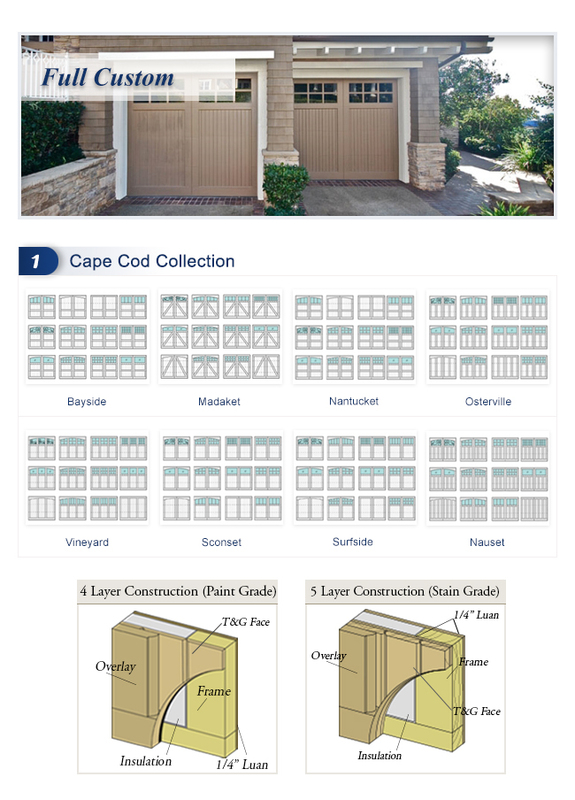 Nothing says “home sweet home” quite like Cape Cod design garage doors from Ranch House Doors. The Craftsman Style was the dominant style for smaller houses built throughout the country during the period from 1905 until the early 1920s. The style originated in southern California and the most well known designs were inspired by the home builders and architects there. 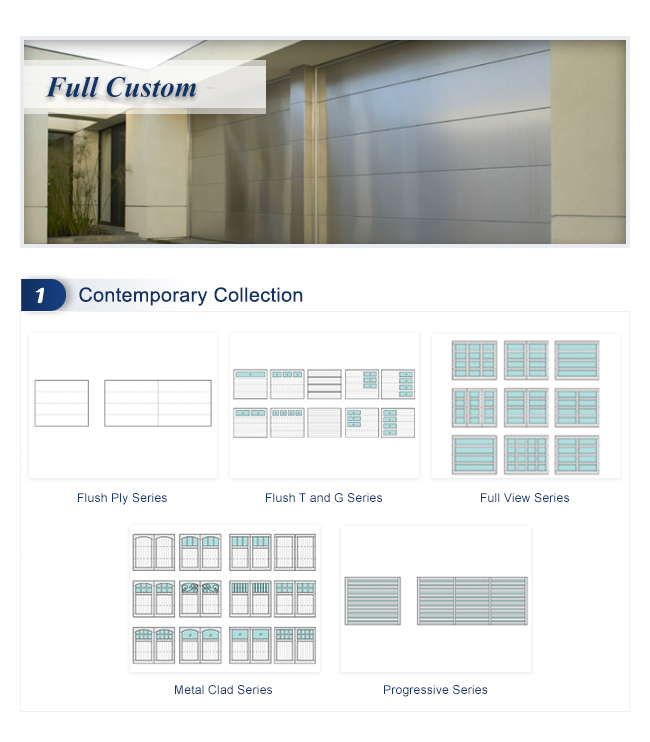 We have invested thousands to work with the most progressive and contemporary architects in the world to create new and exciting door designs and to improve upon the best of the best contemporary doors from around the world. 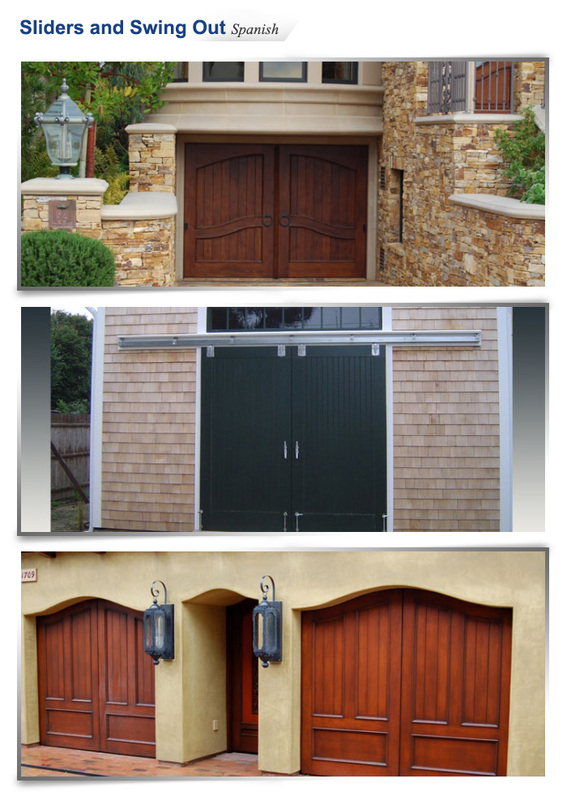 Ranch House Doors takes incredible pride in our Vintage Collection Full Custom garage doors. 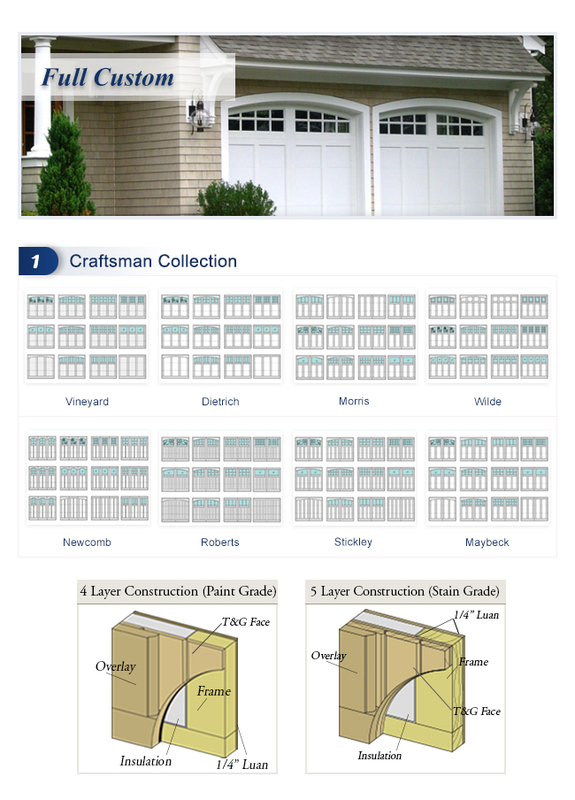 Our Vintage Collection Full Custom garage doors use reclaimed vintage wood and this separates Ranch House Doors from other wood garage door companies. We are artisans. Ranch House Doors Shores Collection Semi Custom garage door is a classic Rail & Stile construction. Your home reflects who you are and allows you to make the statement you choose. 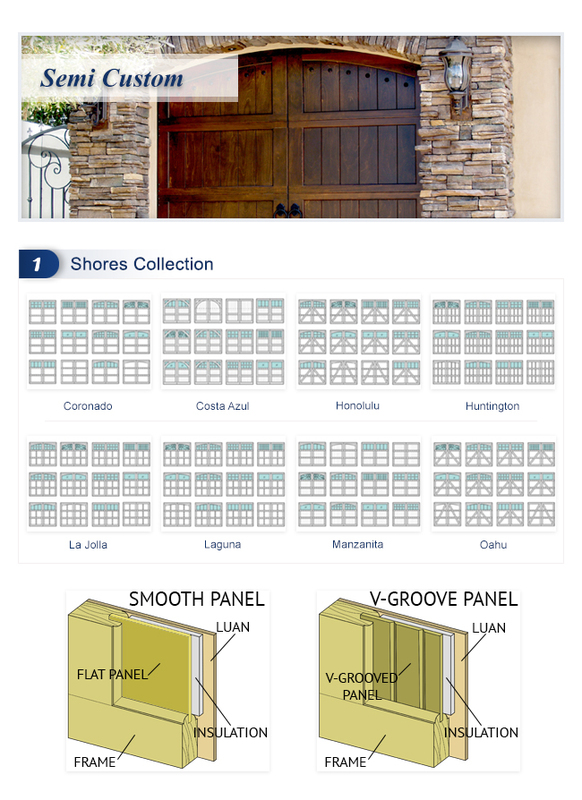 The Ranch House Doors Shores Collection garage door will only add to that personalized statement. 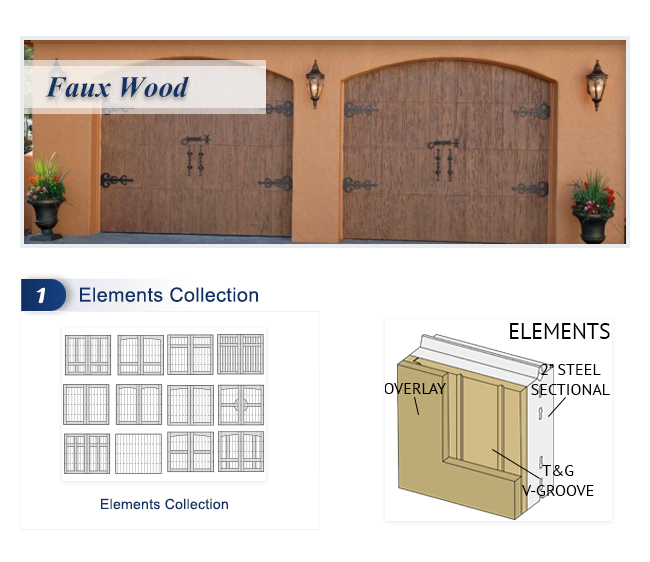 The Faux Wood Garage Doors are manufactured in standard trim dimensions such as trim boards, sheets, corner board, and bead board. 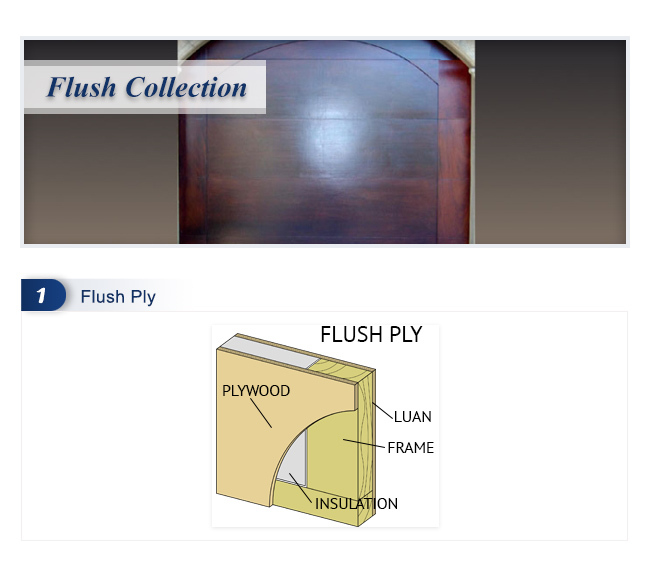 It is a perfect wood replacement product for non-structural applications. 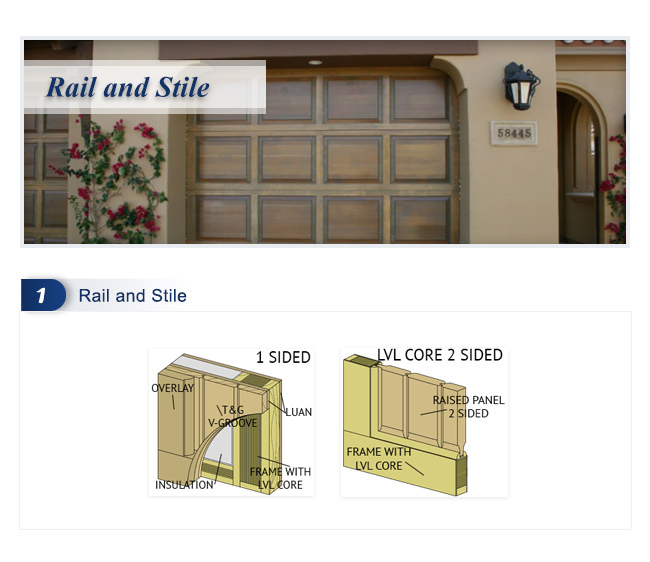 Ranch House Doors Rail & Stile door is the traditional raised or recessed panel garage door. 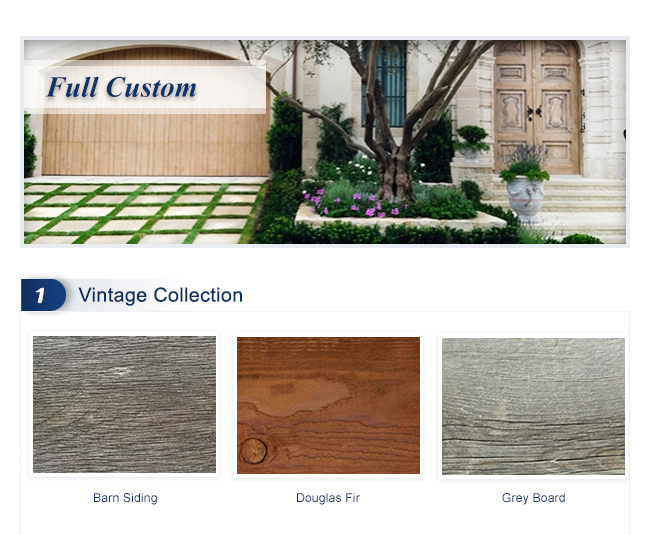 Ranch House Doors offer this in fine wood – Stain Grade materials, such as Hemlock, Mahogany, and Cedar. This mortise and tennon construction is built like the traditional entry door. 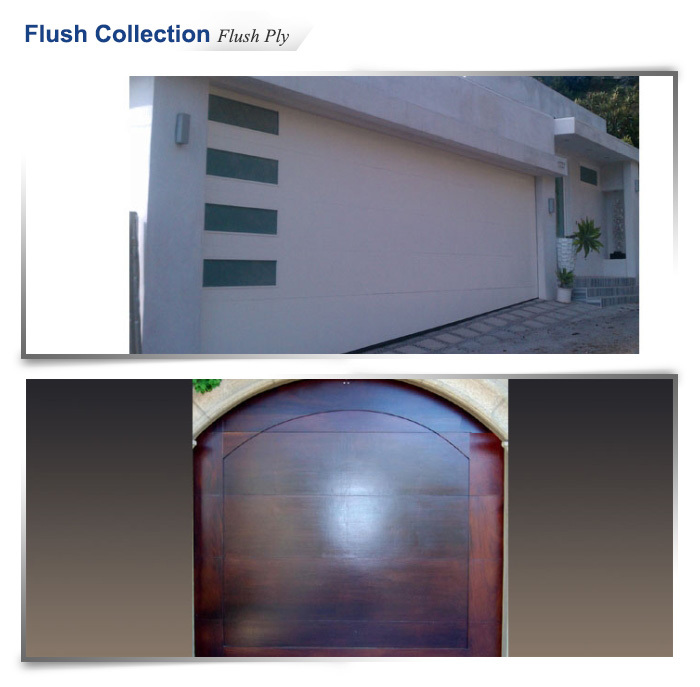 Flush garage doors have sections that do not have visible rails or stiles. 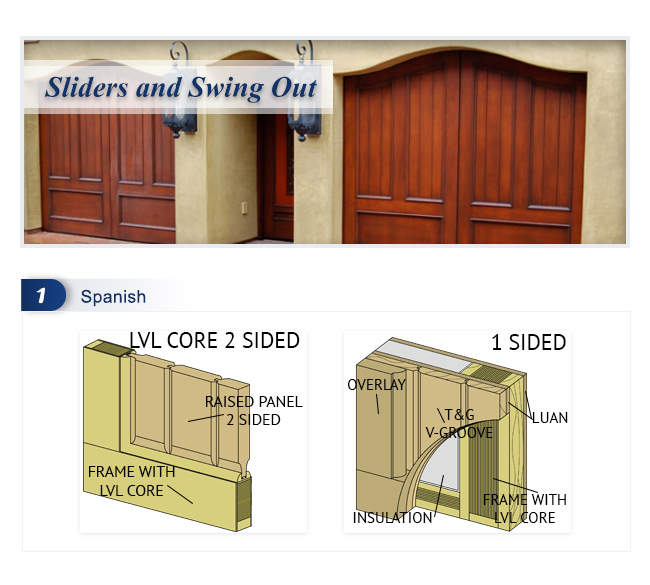 Ranch House Doors offers wood garage doors with a number of flush designs, one of which will fit your home. 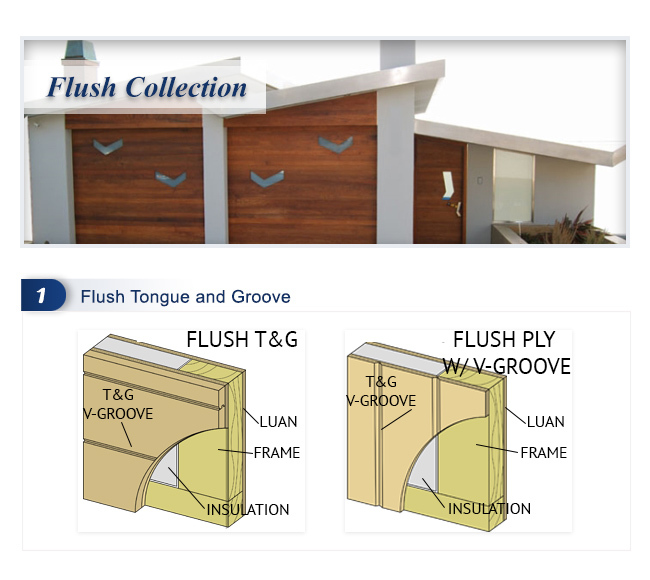 The Flush garage door design might also be considered more utilitarian than other Ranch House Door designs, but that does not mean that the Flush door cannot be an attractive element of the architecture and style of your home. Garage door purists agree that there is nothing more authentic than a Ranch House Door Swing Out or Sliding garage door. These beautiful built doors take us back to the true carriage doors of yore. Sliding-style garage doors also are great accents to almost any home. In addition the sliding-style door design can save the homeowner valuable space or room in front and inside the garage. What is the Bone Yard Collection? We like to define our Bone Yard doors as the doors that got away. Whether the measurements of the garage door opening was off, the home owner changed their mind about the wood species or any of other reasons that one of our finished garage doors did not make it onto the homeowners garage.